I don’t know what it is about catching bull redfish, but this is one of my favirote fish of all time! Luckily, Hilton Head Island has some excellent bull redfishing and it all comes together starting in September and runs through mid November. I have caught a lot of bull reds before and after these times, but this is the time of year when I generally target these bruisers. 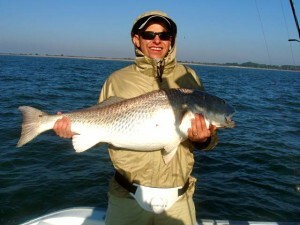 Bull redfish can be caught using a number of different tactics from live bait fishing to jigging to trolling. It really dosen’t matter how you hook em… a bull red on the end of the line will flat ware you out! What is a bull redfish you may ask? 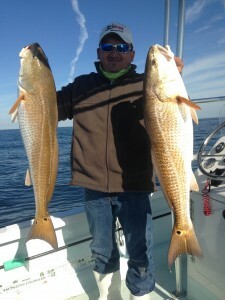 These are the large adult redfish that have moved out of the inshore estuary and into open water. Redfish are very long lived fish… living to be over 60 years old! In all of that time they continuously grow, I guess thats why the South Carolina state record redfish weighed 75.0 pounds. Now that’s a big red! Basically here is how it works. The inshore estuarys (ie: marsh grasses, tidal creeks, oyster bars and mud flats) are where redfish start their lives. After about 4 years of age redfish, being about 7-10 pounds, will stage up and move offshore to breed with other adult redfish. For the most part, mature redfish will spend the remainder of their lives in offshore waters. One exception here in Hilton Head is during late summer and fall when these fish (now known as bull reds) come back to spawn we will catch them in the surf and in deeper water near the sound. The average bull redfish will weigh between 25-40 pounds and they are pound for pound one of the hardest fighting fish in the ocean. During the summer months many of the bull reds caught in South Carolina come from the surf, but as we get into late summer these fish flood the Port Royal Sound to the upper reaches of the Broad River. We also find them on offshore hard bottom areas and around offshore wrecks. Once you find them they are often schooled up which can offer some fast paced action! 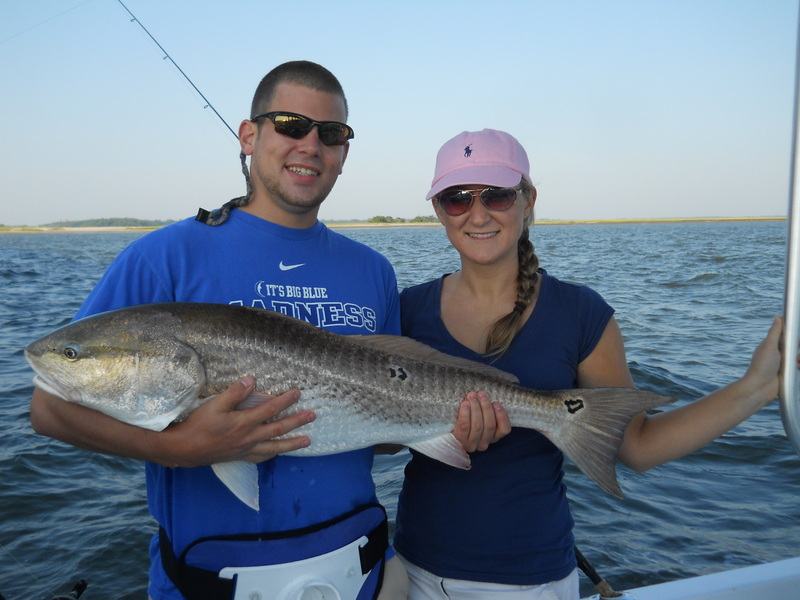 If you are looking to book a guided fishing trip CLICK HERE to Contact Hilton Head Fishing Adventures for more information. Catch em Up! Capt. Charlie.